Deep State operatives thought they could escape scot-free for illegally leaking classified information to hurt Donald Trump. They thought they were protected by virtue alone and by being the anonymous sources for so-called “mainstream” media outlets. But one sentence struck fear in their hearts. When Attorney General Jeff Sessions testified before the Senate Intelligence Committee, he was asked about the illegal leaks that have plagued the administration. Any false sense of security Deep State leakers possessed was shattered by his answer. “Attorney General Jeff Sessions on Tuesday said there are multiple investigations into government leaks that he said have been “extraordinarily damaging” to national security. When asked by Sen. Tom Cotton (R-Ark.) 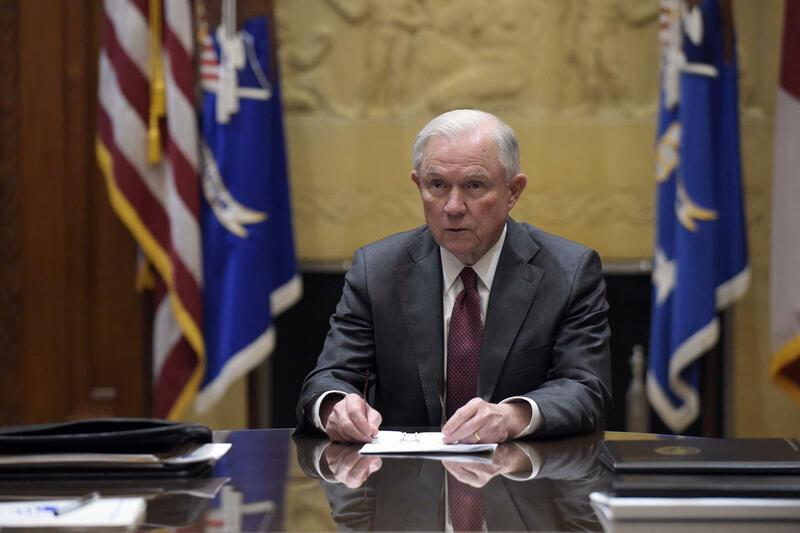 during an intelligence committee hearing if the Justice Department is going to prosecute leaks to the fullest extent of the law, Sessions confirmed that there are active investigations underway. Illegal leaks have thrown the Trump administration off stride since before they even took office. Leaks about intercepted communications between Michael Flynn and the Russian Ambassador appeared in the Washington Post weeks before the inauguration. Flynn was never accused of wrongdoing in these leaks, but they created an air of suspicion. He was eventually fired when his private statements to the Vice President did not line up with what was discussed on the calls regarding Russian sanctions. But Flynn was smeared as a traitor on baseless speculation. Similarly, illegal leaks about Jared Kushner’s meeting with the Russian Ambassador to set up a backchannel communication system also damaged the administration. Kushner’s meeting was perfectly normal, but the explosive manner in which the story was framed led many to believe Kushner was a Russian spy committing treason. Trump has also said on multiple occasions that the Russia story is fake news and the real scandal is the illegal leaks. No proof of collusion between Trump officials and Russia exists. And the only criminal conduct that has been alleged in the entire affair has been the illegal leaking of classified information. For months, Trump supporters have been wondering when the administration was going to prosecute the leakers and tear the Deep State asunder. Now that Sessions has revealed leak investigations are under way, it’s only a matter of time before Deep State leakers are brought to justice.